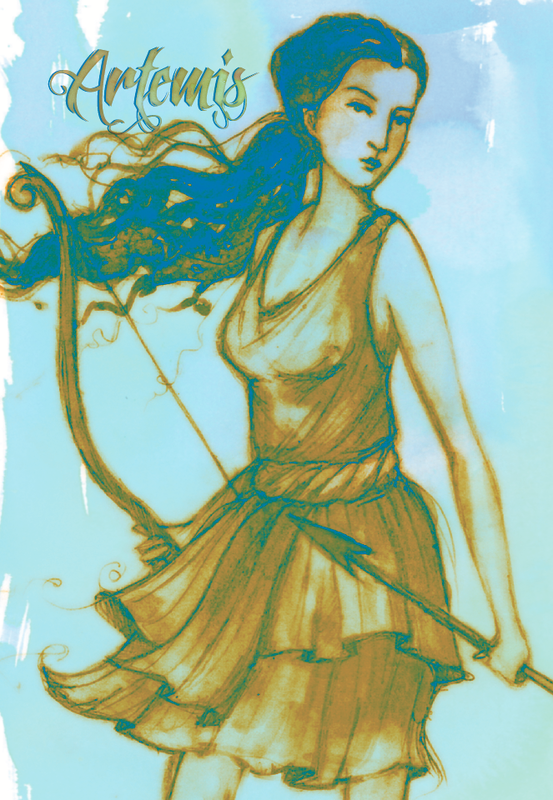 Artemis, often called Diana (Roman), was the Greek Goddess of the hunt, wild animals, wilderness, the moon, childbirth and chastity. She is the daughter of Zeus and Leto and twin sister of Apollo. She is almost always depicted with a bow and arrows, and often with deer. She hunted animals, but also protected them in the forest. She protected women and female animals during labor and childbirth but could also bring on disease. As an infant goddess, she helped deliver her own twin brother. Yes. That’s what I just wrote. That is why she is the Goddess of childbirth. And if that doesn’t impress you, on her third birthday (yes, third) she asked for the following: to never be distracted by love or marriage, a bow and arrow, hunting clothes, 80 nymphs to be her friends, and all the mountains in the world. All the mountains in the world? Ok Veruca Salt. I got you a Fisher Price Farm Set, that will have to do.